Several participants in the 2016 Grow Waynesboro Start-Up Competition took advantage of an eight-week business planning class through the Staunton Creative Community Fund. The class takes small business owners through topics such as Legal Structure, Market Research, and Marketing Plans with experts in the field. Attendees work through Pricing and Cash Flow Analysis and learn about Taxes and Licensing. At the end of the eight weeks, attendees are well prepared to write their business plans and have created a network of support with other fledgling businesses. 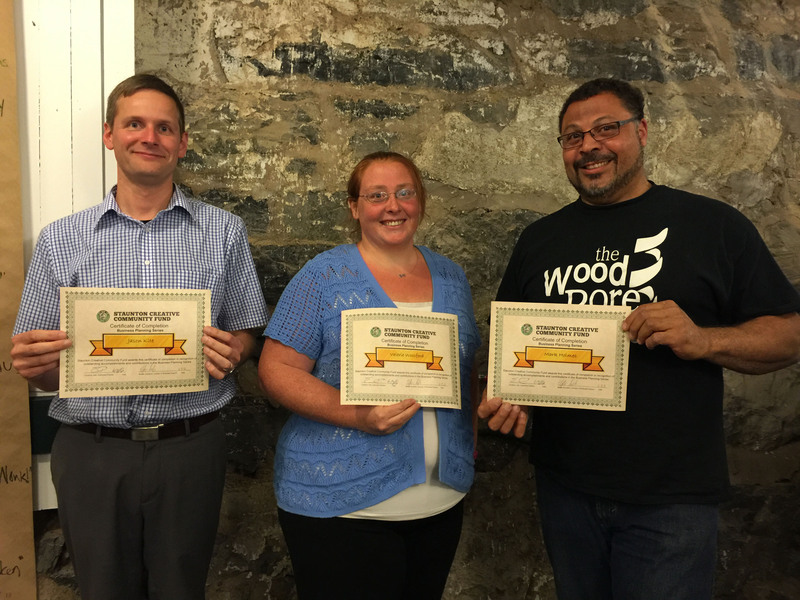 Grow Waynesboro congratulates The Faded Poppy, Memories by Valerie Woolford, and Woodbore Building & Restoration on the completion of the Business Planning Class. We also thank the fine folks at the Staunton Creative Community Fund for helping strengthen and support these entrepreneurs. ← Is your small business eligible for VIDA funds?